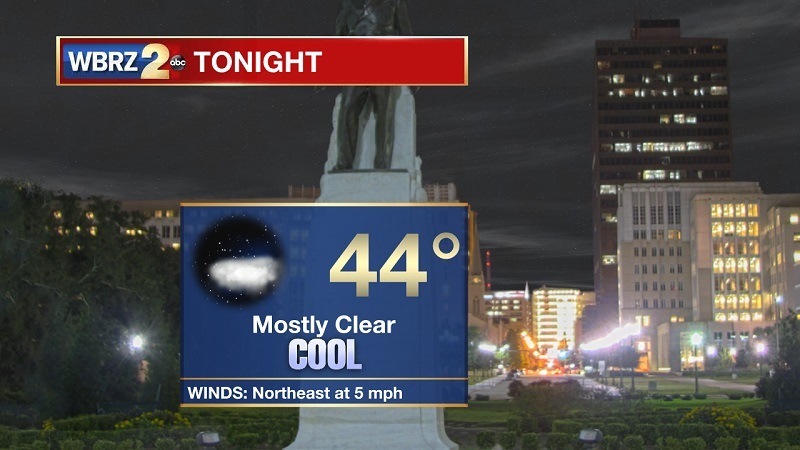 Tonight and Tomorrow: Mostly clear skies tonight, as temperatures cool quickly to reach an overnight low of 44° with light winds out of the northeast. 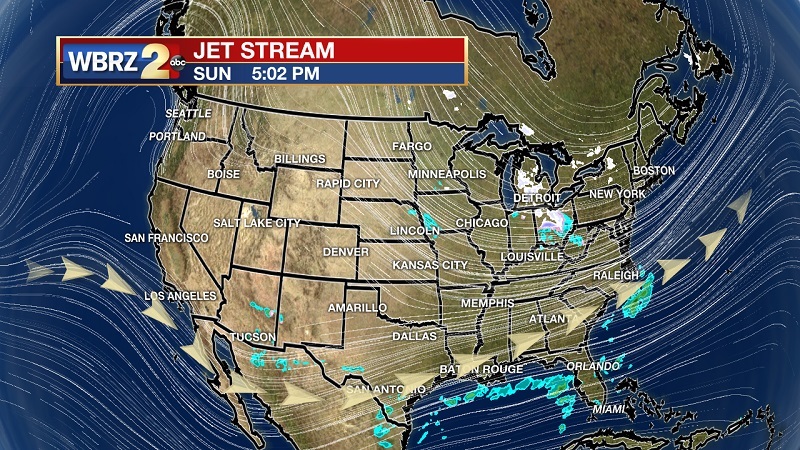 A mid-to-upper level trough approaches from the west into Monday, keeping mostly cloudy skies through the day. 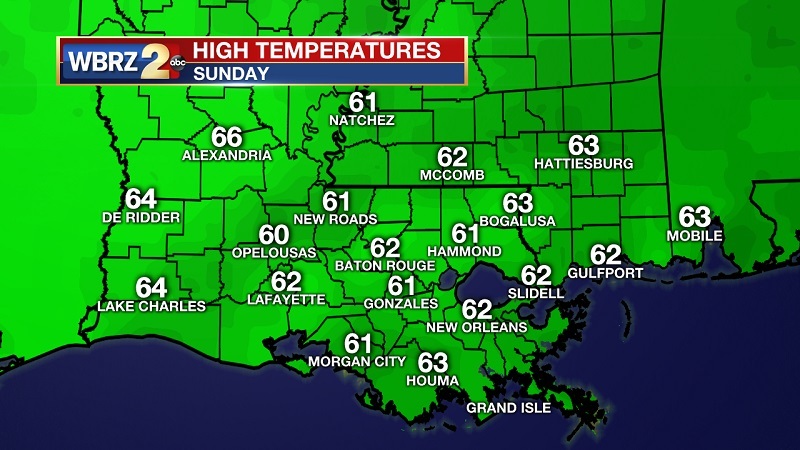 Temperatures will be warming into the 50s by 9 AM, as highs reaching near 69° through the afternoon. Winds will stay out of the northeast between 5 and 10 mph, but a Small Craft Advisory is in effect along the coast until Monday afternoon. Clouds will begin to break up through the evening hours. 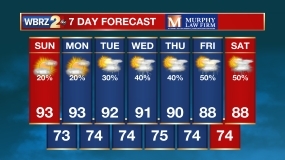 Up Next: Skies clear for Tuesday, and stay sunny to mostly sunny through the workweek. Temperatures will be in the low-to-mid 70s through the week, slowly approaching the 80s over the weekend. A mid-to-upper level trough will stay over the area on Monday, but will depart the region toward the east on Tuesday. This will open the door for high pressure to move in, clearing skies and slowly warming temperatures back near average through the midweek. 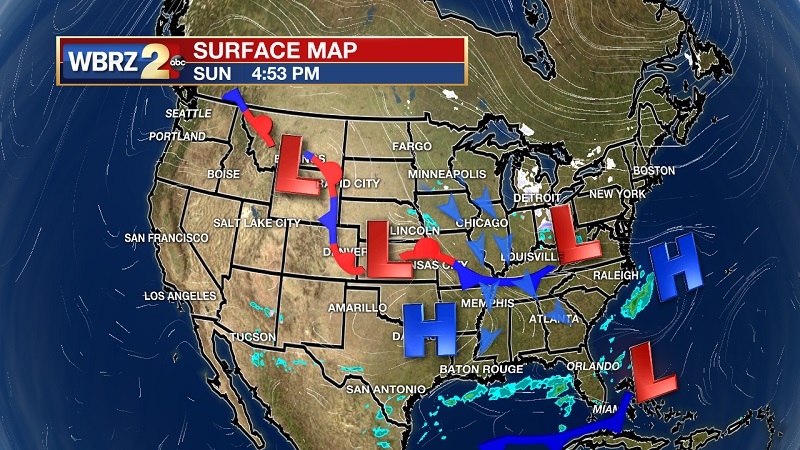 High pressure stays in control, keeping passing frontal systems to our north and skies sunny along the Gulf Coast. High temperatures will ramp up into the upper 70s on Friday, with lows breaking into the low 50s. The high pressure does start to waver through the weekend, bringing partly cloudy skies back in the forecast on Saturday, with rain chances returning on Sunday. Currently, both the Euro and GFS hint on a struggling system from the west pushing some moisture into southeastern Louisiana on Sunday, but chances should stay low and confined to the afternoon hours.